bettering his living conditions and encouraging him to develop his taste and sense of beauty. This quote was taken from what is considered a classic, and one of the most relevant books even today - the 1966 “Design as Art”, written and illustrated by one Bruno Munari. Although filled with similar brilliant thoughts, this one resonated with me the most; perhaps because it could best describe the way one of the most most important minds of the 20th century lived the art he was creating, and designed the art he was living. 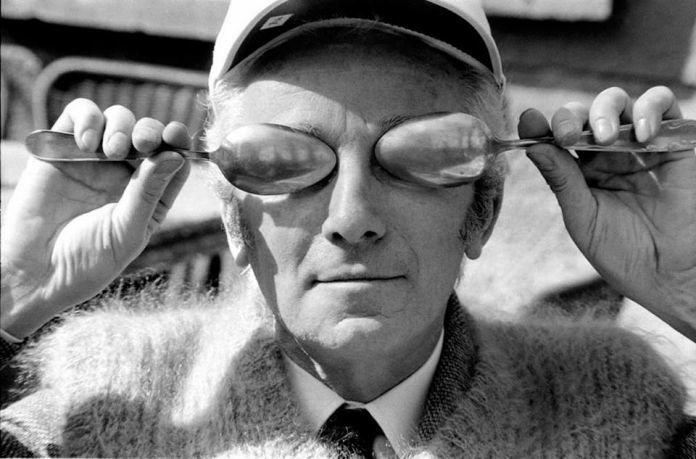 But talking about Bruno Munari and his fruitful life is no easy task, for he was an almost incredible array of things: an artist, a graphic designer, a sculptor, an industrial designer, a children’s book author, a furniture designer, a xerographer, a toy maker, a writer. His name can also be found in research connected to literature, games, kinesthetic learning, the didactics. With such a portfolio, it is no wonder another legend of the avant-garde, Pablo Picasso, once dubbed him “the new Leonardo”. If you want to know closely a design temple don't miss our article related to the new Victoria & Albert Dundee Museum. We could agree, however, that Bruno Munari was above all a designer, and his contributions to the field are as grand as virtually every piece he ever turned from idea to reality. He wanted us to see the world through his eyes, and the objects he created played an important role in it, and were its integral part through their accessibility, beauty and functionality. Over the course of his entire life, this celebrated figure left a mark in everything he did, becoming a celebrated figure in his native Italy, but also way beyond. Born in 1907 in Milan, Bruno Munari spent his childhood in the small town of Badia Polesine in Veneto region, where his parents owned a hotel. It wasn’t until 1925 he moved back to the second-biggest city of his country, to try and find a job. To no one’s surprise, he did so almost immediately, becoming an employee in graphic design studios and working with his uncle, who was an engineer. This was also the time when the Futurist movement, led by Filippo Tommaso Marinetti, rode on its second wave, leaving behind its connections to post-Cubism and Contructivism andslowly embracing Surrealism as its ideology. Munari became friends with the involved artists, among them Depero, Lescovich, Buzzi and Prampolini, and even showed his own work alongside theirs in a few exhibitions around town and in Europe. In 1929 he became the co-owner of his own graphic and publishing studio, together with fellow artist Riccardo Castagnedi, also known as Ricas; in fact, their works were signed “R + M” at least until 1937. These were the early 20s in the life of Bruno Munari, yet he was in the center of it all. Year 1928 brought the “Dynamism and Muscular Painting” manifesto (“Dinamismo e pittura muscolare” in Italian), which enforced the Futurist idea of a new world even further - their fascination with speed and technological advancement was now joined by brand new mechanical creatures, be it flora, fauna, or the man himself. Under the movement’s propaganda-based guidelines, the artist contributed many of his collages to Italian magazines, which now comes to mark his first foray into the editorial branch. Although the works from this period completely adopted Futurism’s aesthetic, Munari abandoned the movement following World War II however, after it had adopted a leaning attitude toward Fascism. At the threshold of the 1930s, Bruno Munari created what could be considered his first Mobile in the history of art, although almost at the same time Alexander Calder made his. 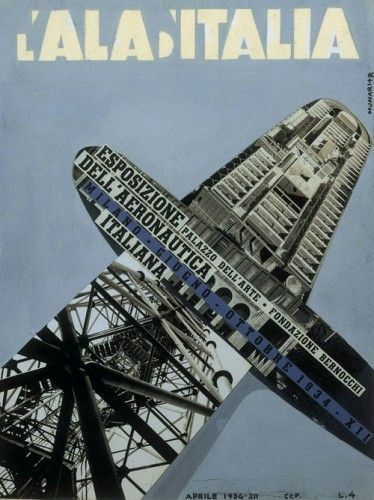 With “Macchina aerea” (Aerial machine), Munari introduced “Macchine Inutili” (Useless Machines), which in turn brought him fame within the Milanese artistic circles of the time. These pieces were exhibited in the Futurist group exhibitions and were meant to be light-weight pieces of abstract art floating, moving, interacting in space without any constraints. The “Useless Machines” were Futurists in that they evoked movement, but because they did so in the most literal of ways, moving away from the static states of painting and sculpture that represented the past, they were indeed revolutionary, harmoniously and unapologetically looking straight into the future. This was a very busy time for the Italian designer. His studio operated in full swing, his works were shown in the 17th Venice Biennale - find more out about The 58th Venice Biennale - and kept appearing in exhibitions everywhere, he designed ads, posters, fair booths and booklets left and right, and he also collaborated with many magazines, creating covers, photo-collages and photo-montages. His trips to Paris brought him friendships with the likes of Louis Aragon and André Breton, as well as yet another two jobs in Milan: that of a graphic designer for the Mondadori publishing house, and the one of art director of Tempo magazine. His first book, “Le Macchine di Munari” (Munari’s Machines), was published by Einaudi in 1942, marking the beginning of a successful relationship between the two which would last four decades. He also began writing and illustrating children’s books, initially designed for his son Alberto, in 1948. Alongside the design pieces he’d been releasing on a regular basis (like the 1945 "Ora X", considered by many to be the first kinetic work produced in series in the history of art), Bruno Munari was equally dedicated to painting. His artworks were put on display in many galleries in Milan, most notably at Palazzo Reale (the Royal Palace), in what was the first post-war international exhibition of abstract and concrete art. Having seen the potential of the genre, in 1948 he participated in the foundation of the Movimento Arte Concreta, or M.A.C., and began working on his “Negativo-positivo” series of paintings, which played with the viewers’ perception by blurring the line between the subject and the background. Even in his two-dimensional works Munari tends to create movement. What follows in the 1950s is his “macchine aritmiche”, in which he occasionally broke the works’ repetitive motion with humorous interventions; the “libri illeggibili”, the “Polariscopi” which use Polaroids for kinetic purposes; the “talking forks” which can sign-language, as well as “travel sculptures” that transcend the concept of sculpture at large. Munari also frequently traveled to Japan in the 60s, culminating in a fountain he designed and installed in Tokyo, at the same time representing a design element, a monument, and a performance piece - for the sound of droplets of water echoed throughout the square through microphones and speakers. Discover more about Japanese Art..."Behind an art collection at Vienna MAK Museum"! As years passed, Bruno Munari’s creativity only grew forth. He dedicated himself to experimenting with different media, namely photocopier machines and cinema; he released numerous films too, as if all the other artworks he had created thus far weren’t enough. Many of them were created in Cardina, a hill above the lake Como, where one can find his “house-laboratory” even today. Until his death at the age of 91 in 1998, Munari gave way to workshops for children (at the Pinacoteca di Brera in Milan), continued creating sculptures, paintings, different structures, and toys, and became a prominent teacher and a writer. He is the recipient of multiple awards and prizes for his contributions in the fields of design, visual communication, advertising and contemporary art, to name a few, and is one of the seven “great men” of Milan buried in the Memorial Chapel of the city’s main cemetery. As the capital of design, also this year Milan will host the International Fair Salone del Mobile, click here to find more information.